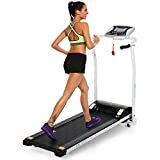 Buying your own treadmill and using it regularly will allow you to get fit or maintain your current level of fitness, without needing to go to the gym. While there are treadmills out there that cost thousands, there are definitely more affordable styles available and this is good news for cost-conscious men and women. Today, we’re going to help you find the right budget treadmill for home by sharing information about our top five picks in this category. Once you select a best treadmill for home under $500, you’ll be ready to tone your muscles, improve cardiovascular fitness and burn calories. As well, when you jog or run on a treadmill, you’ll find that you’re able to produce “feel good chemicals”, known as endorphins, which will put you in a great mood. The benefits of regular exercise will be at your fingertips when you purchase your own treadmill. Our top pick for the best treadmill for home under $500 is this design from Merax. It gets great reviews from real-life buyers and it’s incredibly affordable. This is a folding style, so you’ll also find that it’s easy to stow away when you’re not using it. In terms of key benefits and features, this design is made for usage at home and it comes with rolling wheels on the base which make it so easy to move around. Also, it has a display which is multi-functional, which will allow you to track your fitness progress, via heart rate, calories burned, distance and speed. If you want a treadmill which isn’t noisy while it’s in operation, you’ll love the low-noise motor that comes with the Merax JK1063E. This treadmill includes a stop key which is an emergency safety feature. As well, the treadmill features a deck which is cushioned in order to protect knee joints, as well as ankles and backs. If you’re in the market for a truly affordable (and very portable!) 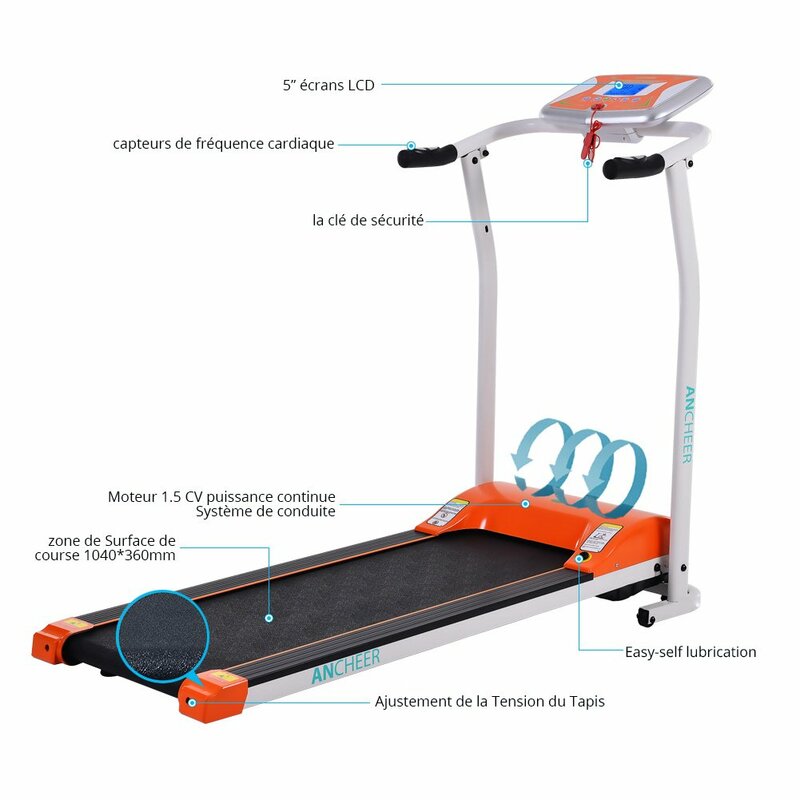 treadmill which is a foldable style, you’ll love this electric treadmill from Ancheer. It’s got wheels, so it’s simple to move around. Put it wherever you want, from your bedroom to your living room to a dorm room and beyond. This unit comes with a liquid crystal display window console and the LCD display will make it simple for you to track a host of functions, such as heart rate, calories, distance, speed and time. As well, you may choose between a dozen training programs, so you’ll never, ever get bored! Use the treadmill to improve fat-burning and stamina. It includes a wireless pulse sensor which tracks heart rate. Use the convenient sensor in order to achieve the perfect level of intensity every time that you work out. To use the sensor, put your thumb on the “pulse sensor” which is situated on the unit’s hand rail. One feature of this best treadmill under $500 that we really appreciate is the self-lubrication feature. You won’t need to raise the unit’s running belt and then add lubricant to its running board. Instead, you’ll be able to utilize a “quick service” button which allows you to add lubricant to a hole, without needing to raise components. After you add lubricant, allow the treadmill to run at top speed for a bit and the lubricant will be dispersed. 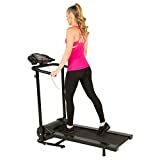 This style from Fitness Reality is a best treadmill under $500 which offers plenty of great features for a low price. 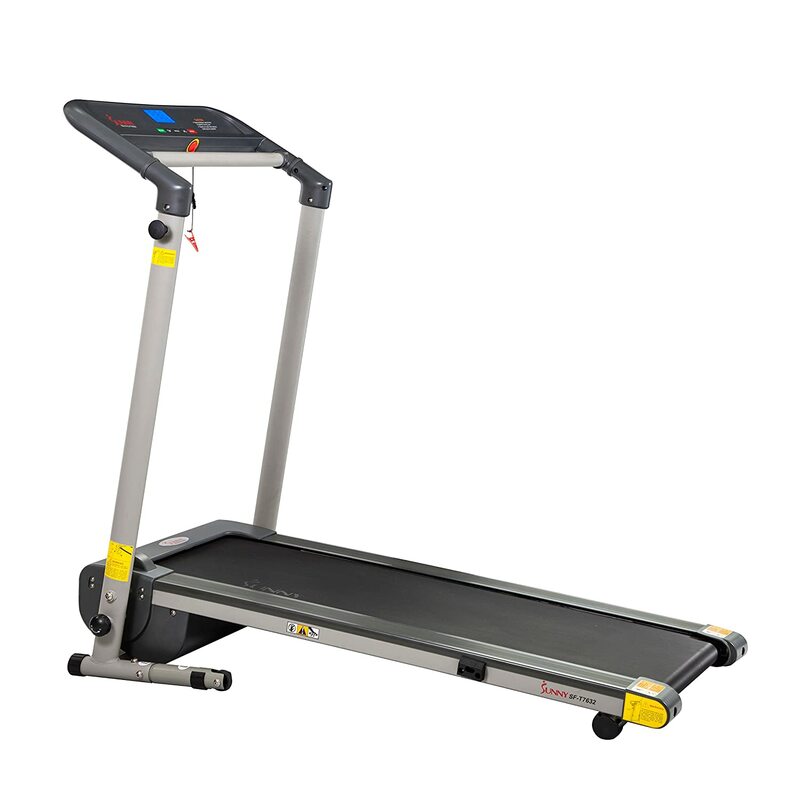 It comes with a treadmill belt which measures thirteen inches in width by forty inches in length. It will be appropriate for anyone who weighs two hundred and twenty pounds or less. 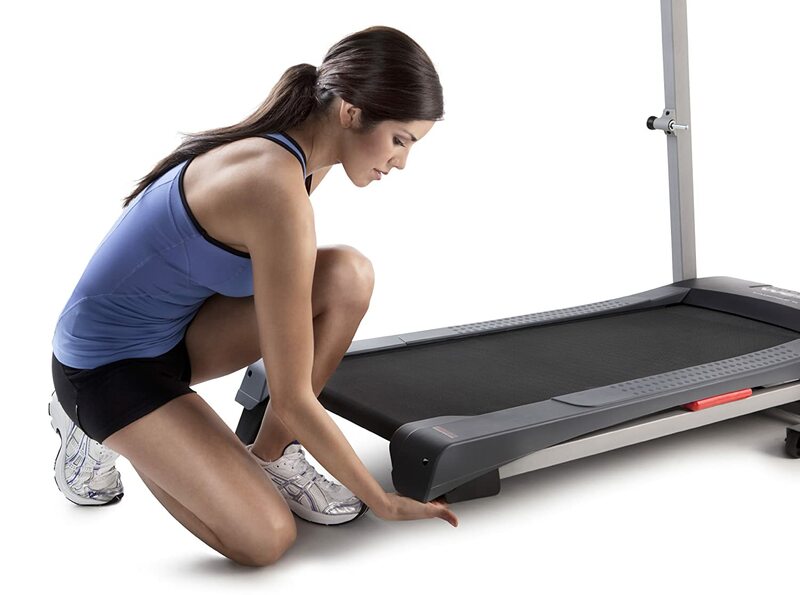 The Fitness Reality Tre2500 Folding Electric Treadmill also features a Goal Setting Computer which makes it easier for users to achieve their fitness aims. When you use this treadmill, you may choose from a couple of workout goal settings, which are distance and time. With this style, speed may be adjusted slowly. Maximum speed in five miles per hour. The manufacturer recommends four miles per hour for an intense workout. The treadmill comes with four speed buttons which make it simple to adjust speed quickly. As well, this model has a quiet motor. You may use the treadmill while you watch television or enjoy music. The liquid crystal display window of this model will show distance walked, speed, calories burned and elapsed time. Overall, this model offers quite a bit of bang for the buck. Another of the best treadmills under $500 is this design from Sunny Health & Fitness. It’s an affordable and portable treadmill which is compact enough to fit most rooms in a house or apartment. It’s also a good choice for offices. When you choose this model, you may adjust speed from half a mile per hour to seven miles per hour. Also, you’ll access a console with back-lighting which is very simple to read. This unit provides 43.3 by 14 inches of space to run and its display shows calories, speed, distance, scan and time. 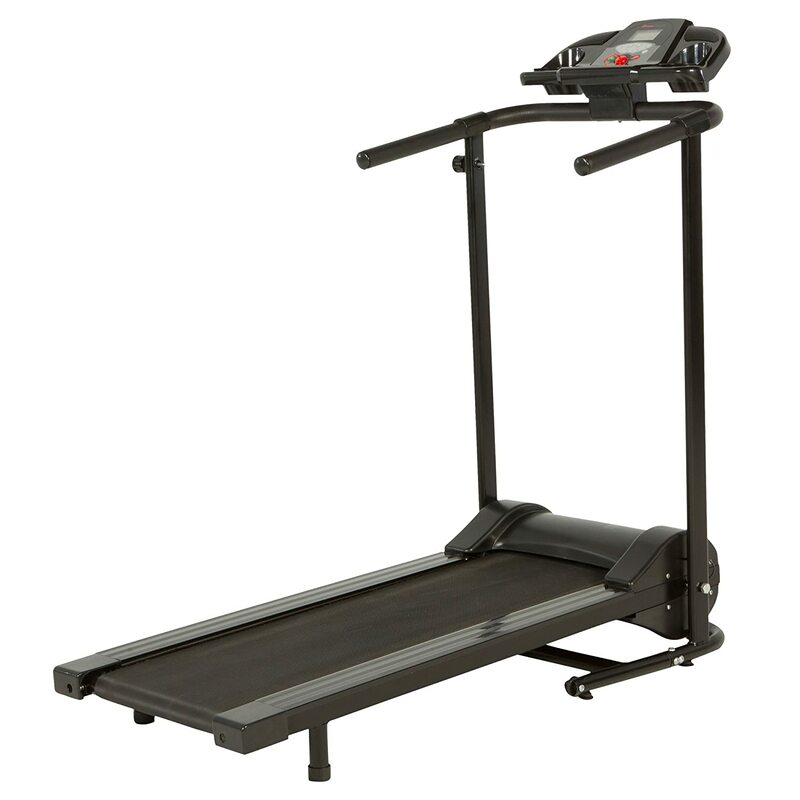 This treadmill is easy to put together and it is suitable for users who weigh two hundred and twenty pounds or less. It features an incline percent of 9.8. Bear in mind that this fixed incline is pretty steep. It does provide a great workout, but people who want adjustable incline capability may want to go with another model. Overall, it offers great performance and most people who buy it are very happy with it. This model is a strong seller, thanks to its impressive, space-saving design! If you prefer a fold-up treadmill, you’ll like what the Weslo Cadence G 5.9 Treadmill has to offer. As well, it offers a variety of trainer workouts (six in all) and comes with a 2-position slope, so you’ll be able to customize each workout to your exact preferences in order to create the perfect level of resistance. Also, this unit features a good level of cushioning on the running bed and this is good news for joints, ankles and back. If you want superb fitness results in a short time frame, you’ll find that this fitness machine fits the bill. It’s an ideal choice if you want to slim down or boost athletic performance. 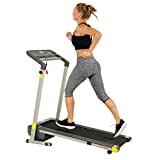 All workouts programmed into this treadmill have been put together by a personal trainer who is certified, so you’ll know that you’re doing truly beneficial workouts which are safe and great for your body. You deserve a home fitness machine which helps you to achieve you ideal body and become your healthiest self. When you order one of the top 5 best treadmills for home under $500, you’ll be primed to enjoy the ultimate in portable performance. Every style that we featured today is easy to set up and simple to fold away when it’s not being used. As well, all of the treadmills on our list come from trusted manufacturers with strong and positive reputations. 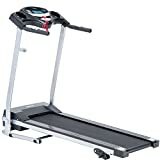 Now that you know some fine options, you’ll be ready to get a great deal on the perfect home treadmill. Once you start running, walking or jogging on your treadmill, you’ll improve cardiovascular fitness, tone your body and burn plenty of calories. So, why not order one today?